The Christian life is a life of learning how to live from our heart, not from our head. If Christ lives in us, then we have the Spirit of the living God living in us too. If Christ lives in us, we have a new heart and we can trust our new heart to guide us in all that we do. 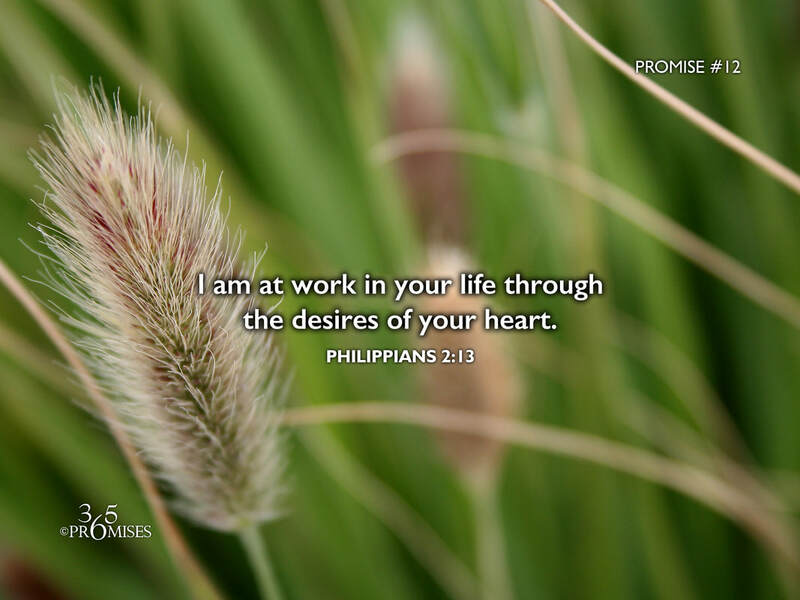 In today's promise, the Apostle Paul says that it is God Himself who is at work in us, giving us both the desire and the power to accomplish all that He has purposed for our lives. It is amazing to think that God actually directs us by the godly heart's desires that He has already placed in our hearts. I believe the Christian life is a life where we learn to live from our hearts. May we all learn to trust the still small voice that resides within us. For it is God who is already at work in you and it gives Him great delight to see His kids living from their hearts.